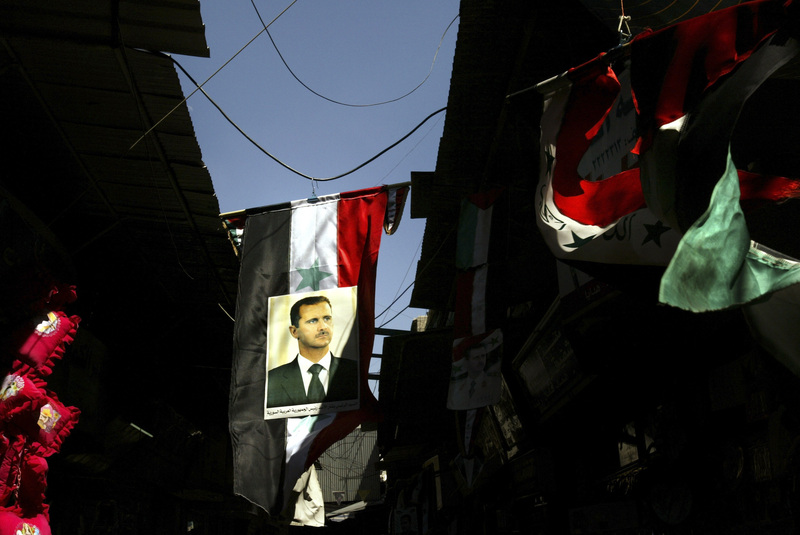 Rebels in Syria claim to have hit President Bashar Assad's motorcade in Damascus Thursday. The rebels say that the motorcade was attacked with mortars and rockets in the neighborhood where Assad was attending prayer service for Eid, which ends the holy month of Ramadan. Syrian officials deny that the President's motorcade was hit, and released a video of Assad at prayer as proof of his well being. The attack is particularly poignant because of its location in the Malki district. The upscale area houses embassies and Assad's home and office. It is generally considered a safe area, having rarely been struck by rebel forces. Reports that the motorcade had been hit first appeared on the Saudi-owned Al-Arabiya TV channel. Syrian Information Minister Omran al-Zoubi dismissed the reports telling the state television network that "the news is completely baseless and a mere reflection of the wishes and illusions of some media outlets and the governments standing behind them." A British human rights group and Malki residents confirmed that there was in fact shelling in the district on Thursday, but there was no indication of whether or not the motorcade was indeed hit. Assad's regime has had a string of recent successes in pushing rebels away from critical areas near the capital.